Psychiatrists face many obstacles in treating patients with bipolar disorder. Much has been written about the effects of bipolar disorder on the estimated 2.8% of US adults diagnosed with the illness.1-3 What’s sometimes lost in the shuffle is how this diagnosis affects clinicians. Psychiatrists face many challenges in treating patients with bipolar disorder. What are those challenges and how might psychiatrists better manage them? When a psychiatrist misdiagnoses a patient with bipolar disorder, he or she may prescribe the patient medications that offer no real benefits but come with serious side effects. What’s more, the patient may be left to grapple with the stigma of the disease. Conversely, when a psychiatrist fails to diagnose a patient with bipolar disorder, the patient will not receive the necessary treatment. The patient might also be diagnosed with a different condition, such as depression, and be prescribed a medication that worsens their mood swings. Sharing the diagnosis of bipolar disorder with a patient is a difficult conversation to have. A patient may assume the worst: that he or she won’t be able to function on a day-to-day basis, let alone work, enjoy meaningful relationships, have kids, or partake in any number of milestone events. As a result, the patient may lash out, break down, or internalize their feelings. They may challenge the diagnosis or abandon hope. Psychiatrists must be prepared for any reaction. Bipolar disorder varies from one person to the next, so figuring out the right treatment plan for a patient is anything but simple. Psychiatrists can only prescribe medications based on the information their patients share with them. The more forthcoming the patient, the more likely they’ll arrive at the right treatment. However, many patients either can’t or won’t open up, which makes the task very difficult. Patients may go through dozens of medications, doses, and combinations before the right mix is found. For some, the process will take years, if not longer. 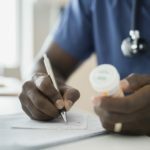 That said, not all patients are receptive to taking medications for reasons including anxiety, cognitive dulling, fear, cost, misunderstanding, dosing frequency, lack of symptoms, worry, depression, and mistrust.6 Even patients who are willing to take medications often don’t follow through on them. Approximately 50% of patients with chronic illnesses do not take their medications as prescribed.7 Some health professionals say that practicing compassion,8 as well as setting reasonable goals, can help encourage patients to take their medications. However, no magic button exists, and some patients will simply refuse treatment. At least one-quarter to one-half of patients with bipolar disorder make at least 1 suicide attempt.9 Losing a patient to suicide can have a profound effect on a psychiatrist from a personal and professional standpoint. Psychiatrists who lose patients to suicide often feel shock, disbelief, denial, shame, and guilt. They might obsess over what they could have said or done differently. They might even question their ability to help people. As a psychiatrist, what can you do to combat these stressors? Psychiatrists tend to be caretakers who are prone to self-sacrifice. Unfortunately, these traits can cause some psychiatrists to neglect their own mental health and well-being. As a psychiatrist, you know better than anyone how impactful therapy can be, so consider seeing a professional. Treating patients with bipolar disorder can be draining, and it’s worth it to sit in the other chair sometimes. Psychiatrists spend 48 hours a week at work on average.10 Individuals who work beyond 40 hours a week are at greater risk for cardiovascular issues, increased alcohol and tobacco consumption, and depression, among other negative health effects.11 The stress of helping patients with bipolar disorder, on top of working long hours, can be a recipe for trouble. Take care of your physical health by exercising – exercise pumps you full of endorphins and works as an excellent stress reducer – and eating right. On a day-to-day basis you handle multiple patients who are going through a lot. It may be tempting to isolate yourself, but you should avoid that temptation. While your schedule is busy, make a point of scheduling lunch or coffee with friends and colleagues. You can use this time to bounce ideas off of one another or talk about nonwork-related topics. Also, schedule time with loved ones. Even if it’s just watching a movie or walking the dog, time spent with family can do you a lot of good. Treating patients with bipolar disorder is an emotionally taxing ordeal for many psychiatrists. 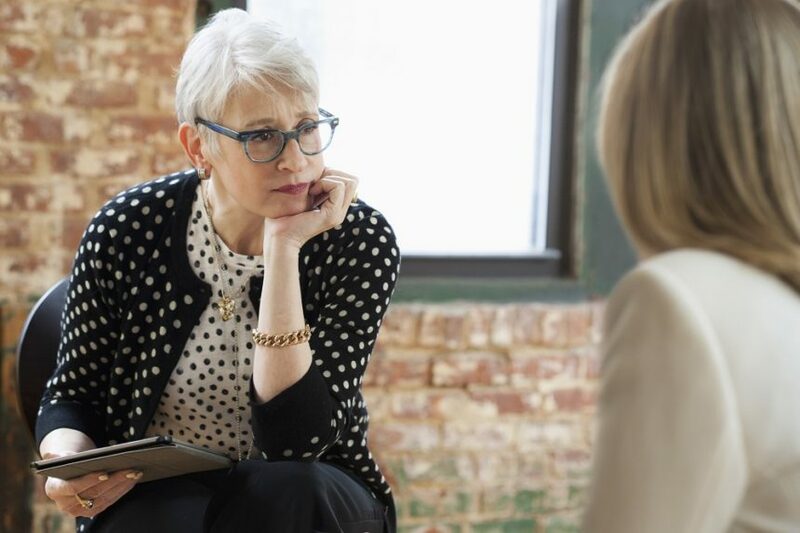 While no simple solution exists for tackling the challenges you face, these tips can go a long way in helping you manage. Cloutier M, Greene M, Guerin A, Touya M, Wu E. The economic burden of bipolar I disorder in the United States in 2015. J Affect Dis. 2018;226:45-51. Michalak EE, Yatham LN, Lam RW. Quality of life in bipolar disorder: a review of the literature. Health Qual Life Outcomes. 2005;3:72. Bipolar disorder. National Institute of Mental Health. Updated November 2017. Accessed July 17, 2018. Zimmerman M, Ruggero CJ, Chelminski I, Young D. Is bipolar disorder overdiagnosed? J Clin Psychiatry. 2008;69(6):935-940. Smith DJ, Ghaemi N. Is underdiagnosis the main pitfall when diagnosing bipolar disorder? Yes. BMJ. 2010;340:c854. 8 reasons patients don’t take their medications. American Medical Association. October 16, 2015. Accessed July 19, 2018. Brody JE. The cost of not taking your medicine. The New York Times. April 17, 2017. Accessed July 16, 2018. Ofri D. When the patient is ‘noncompliant.’ The New York Times. November 15, 2012. Accessed July 16, 2018. Choosing a career in psychiatry. American Psychiatric Association. Accessed July 16, 2018. Popomaronis T. Science says you shouldn’t work more than this number of hours a week. Inc. May 9, 2016. Accessed July 16, 2018.